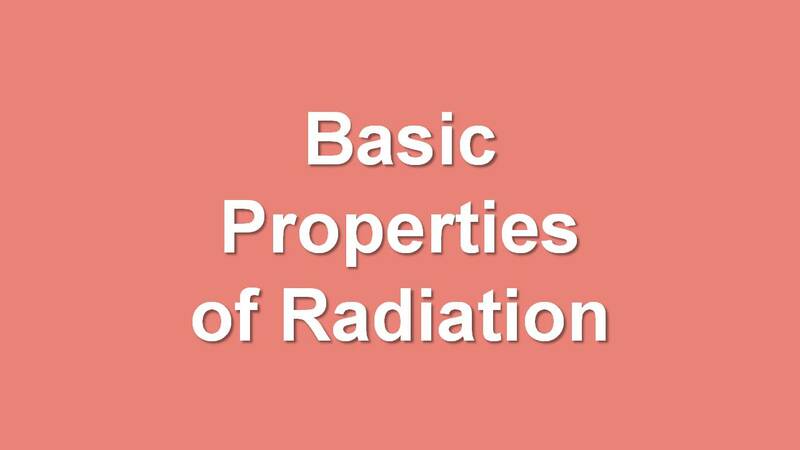 Basic properties of radiation are different for different type of radiation. Radiation is energy transmitted through space in the form of electromagnetic waves or energetic particles. 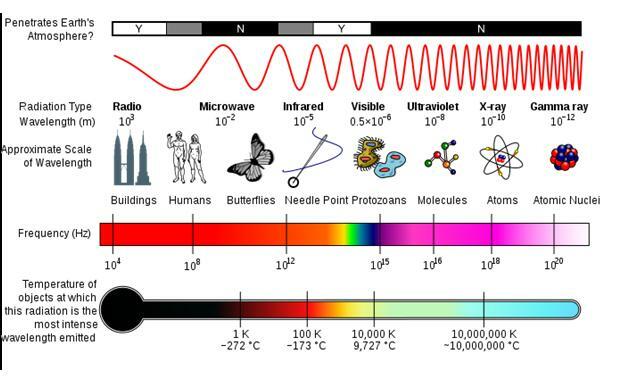 Electromagnetic radiation, like light or radio waves, has no mass or charge. Types of radiation and its properties are clearly shown in the Electromagnetic Spectrum diagram. The above diagram shows the penetrating power of alpha,beta,gama, and neutron. 1. Beta particles are otherwise call it as electrons, the mass of the beta particles is 1800 times less than the alpha particles. 2. The range of the beta particles is higher than the alpha but, lesser than the gamma rays. 3. The penetrating power of the beta particles is slightly higher than the alpha but, lesser than the gamma rays. It requires few mm of Al to absorb it. 4. Beta particles also affect the photographic plate5. Specific ionization less than the alpha particles. 1. Gamma photons are not having the mass. 2. Gamma photons can act as both particle as well as wave characteristic. 5. Gamma rays are sparsely ionizing radiation. 6. Specific ionization of gamma rays are very less when compared to aloha. 7. Gamma rays are absorbed by the a few cm thickness of lead. 2. Find the correct order of penetrating power of alpha, beta, and gamma rays.